As any serious fly fishing angler will tell you, polarized glasses are an indispensable part of your arsenal of tools. They come with numerous benefits, from protecting you from hooks that might potentially stab your eye, to aiding your sight and enabling you to see fish more clearly without the obstruction of water and sun glare. However, it is essential to choose the right kind of polarized fishing glasses that are of good quality, and the right shade for your needs. Here are just a few considerations to make when shopping for a pair of fishing sunglasses, as well a few suggestions on specific brands that we think are the best on the market right now. Rose/ Yellow/ Vermillion: If you want to brighten up your view on a cloudy day, then these colors are perfect. However, they are not recommended for use in sunny conditions as they provide very little protection from the glare and will most likely cause more harm than help in this case. 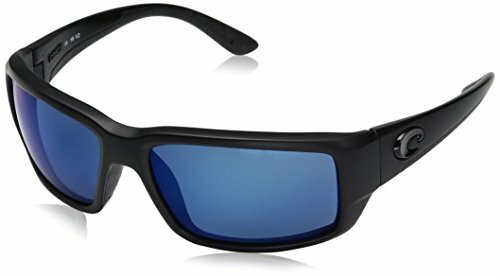 Gr​ey: Most anglers wear these when fishing in warm and sunny conditions because they shield the eyes from excess sun exposure while enabling clear vision down to the bottom of the water. Also, grey glasses are especially useful for use in streams and rivers that have a greyish or limestone base. 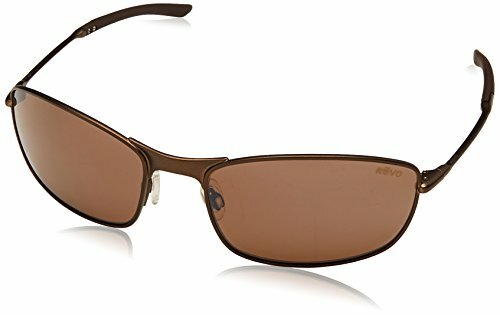 Mirrored vs. Non-mirrored: The mirror coating on fishing glasses works similarly to that of tinted car windows; while you’re able to view your outside environment from the inside clearly, no-one can see you from the outside. Mirrored glasses also lessen your exposure to sun glare, which makes them perfect when fishing in sunny conditions. Non-mirrored lenses, on the other hand, do not contain any of these benefits and are used merely to protect the eyes from potential impact with sharp objects while fishing, while providing zero protection from sun glare or UV rays. Another important consideration to make before choosing a pair of polarized fishing glasses is the lens material. You can tell a lot about the longevity and durability of polarized fishing glasses based on this factor. The most prominent types of material used are glass, polycarbonate/polyurethane, and acrylic. Acrylic is the most affordable option, acrylic glasses don’t provide much clarity, but they’re dirt cheap, and most people purchase them only to shield the eyes from stray objects that might accidentally enter the eye, but not necessarily to protect from sun glare. Glass material is so durable and heavy duty that wearing these could be likened to having a windshield for your eyes. They’re also scratch resistant and can provide clear vision, which makes them suitable for use on a daily basis and different weather conditions. These are also hardwearing enough to last you for many years to come, which makes up for their typically expensive price tag. Polycarbonate/Polyurethane manufactured glasses are lightweight and scratch resistant at the same time, which makes them a popular choice for manufacturers and anglers alike. They work well in almost any type of fishing condition, and they provide long-lasting protection. The more sun protection your glasses offer, the better, and while most polarized lenses come with UVA protection, others even feature UVB and UVC protection as well, which makes them ideal when dealing with sun glare. Several variables go into a proper fit. For example, mostly recommended are lightweight glasses because they provide a fit so that you can wear them all day long with hardly any discomfort. Take note though that some lightweight glasses are not durable enough to last long and have a tendency to fall off. On the other hand, bulky and heavy glasses might start to feel uncomfortable after some time. Do your research and find out the right factors that are essential in providing you with the most comfortable fit. It’s vital to purchase sturdy and tough-wearing glasses that’ll be able to handle the elements so that they don’t fall apart quickly. Scratch resistant or water resistant glasses are great for anglers because they can take some abuse without breaking on you. 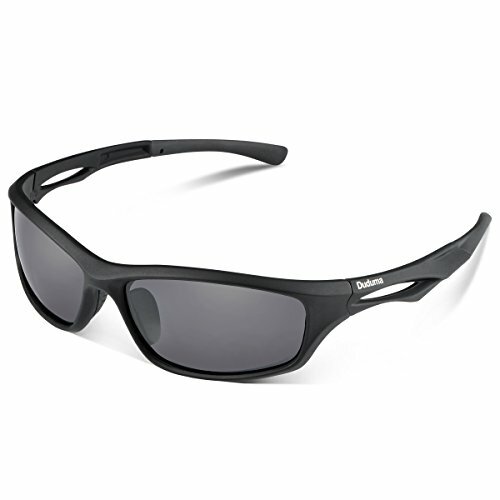 Anglers need long-lasting glasses that will endure different weather conditions. Although some sunglasses come with a Lifetime warranty, some don’t, so it’s important to read the fine print and find out if the ones you’re looking to buy are backed with such a warranty to ensure long-term quality. These polarized fishing glasses from Duduma feature a strong polycarbonate frame with seven layers of non-peeling polarized PAC. Their lightweight but durable design makes them ideal for protecting the eyes during high-speed sporting activities, including fly-fishing, running and cycling. They’re highly resistant to scratches and feature 100% UV400 lens, which ensures vivid and accurate vision without the glare and obstruction. Duduma is so confident about the quality and efficiency of these glasses that they’ve backed it with a 30-day money back guarantee on top of a limited lifetime warranty. Plus, they’re available in a variety of colors, including silver, blue, black, yellow, green, brown and more. Although made from scratch resistant and tough wearing polycarbonate, these handmade glasses are comfortably lightweight, and the Blue Mirror Polarized lens comes highly recommended for open water or off-shore fishing where your eyes will be coming into contact with direct sunlight. They also feature a bio-nylon frame for added durability and impact-resistance, while the full-on polarization eliminates eye strain and glare, leaving only clear visibility. The frames come in different colors, from black to camo pink, xtra camo, tortoise and many more, and each pair comes with a lifetime limited warranty as well. The Holbrook is one of Oakley’s most iconic set of glasses, and it boasts UV filtering lenses that are made from Plutonite polycarbonate, and feature six base layers for optimum durability. The frame is made from heavy duty O-Matter with a Three-Point fit that makes for lightweight and comfortable wearing all day long. These glasses effortlessly combine style and quality with metal bolt and icon accents that are ideally placed on the front frame, while the lens naturally filters out obstruction to enable sharp, clear and accurate vision. Available colors for these glasses include polished black, grey ink fade, ruby, matte fern and matte black to name but a few, and you get a free case with each purchase. These ultra-durable polarized sunglasses from Hobie Cabo are made from hard wearing nylon and feature a polarized plastic lens hydrophobic coating which repels water, grime, and oil while providing 100% protection against harmful UVA, UVB, and UVC sun rays. Both the lens and the frame are made from a strong plastic base, which makes them durable enough to last for decades, and they come with a complimentary case to keep them protected when you’re not wearing them. 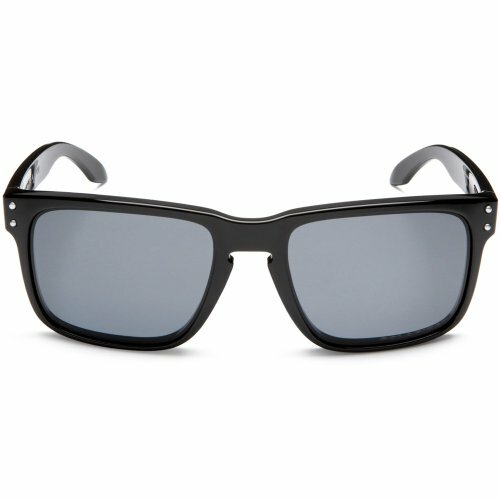 Not only are these Suncloud glasses proudly made in the USA, but they come with a tough-wearing Grilamild frame and polarized lenses that are made from Polycarbonate. They also feature Megol nose pads and temple tips for comfortable all-day wearing, as well as a Lifetime warranty to give you peace of mind on the quality promise. These are available in the colors; Havana brown, black and green, and the design is quite stylish as well. 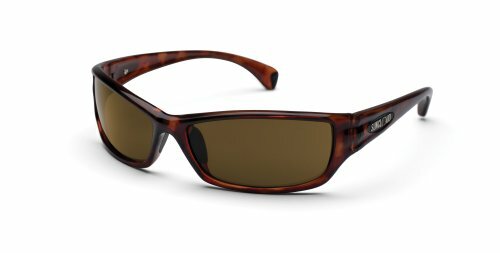 Polarized fishing glasses are a must-have when fishing, as they offer you safety and clarity to make your fishing adventures more fun and efficient. In fact, most fishing anglers consider it an essential piece of equipment and they never fish without them, especially when considering the potential danger that comes with exposure to quick flying hooks. So, invest in a pair of polarized fishing glasses today and change your fishing game for the better. Just remember to pick a brand that offers a Lifetime Warranty and do your research on the overall quality of the product.